The recruitment and staff selection process is about prediction – you are trying to predict how well a particular candidate will perform, technically and behaviourally, in the advertised position. To make predictions you need information and data. So what data is the best data to collect? 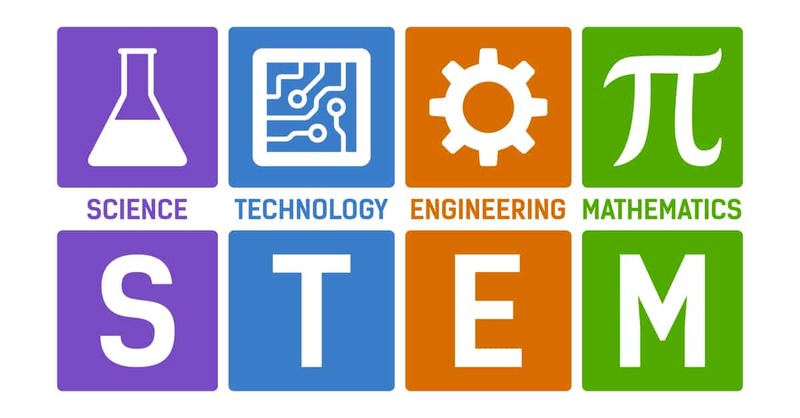 What data is the best predictor for success in the STEM professions of science, technology, engineering and mathematics? Firstly, in broad terms, general intelligence, or more commonly known as IQ, is the single most effective predictor of job success. The importance of general intelligence in job performance is related to complexity. Occupations differ considerably in the complexity of their demands, and as that complexity rises, higher general intelligence levels become a bigger asset and lower levels a bigger handicap. In more complex jobs, a person’s level of intelligence predicts success better than any other single factor, including education and job experience. General intelligence has been shown to be the most consistent predictor of performance across a variety of jobs because it indicates a candidate’s ability to learn and thus reflects how quickly a person can be trained. Of course, there are other factors that contribute to a person’s chances of success, including aspects of their personality, motivation, socio-economic status, and luck, but there is also ample evidence that general intelligence is the single most valid predictor of productive work behaviours and training performance. Conversely, high-IQ individuals may lack the resolve, character or good fortune to capitalise on their intellectual capabilities. In relation to recruitment decisions and gathering data, IQ is easy to measure and is without a doubt the most objective piece of data you will get about a candidate. All other data, including reputable personality profiles, have degrees of subjectivity. In relation to the STEM professions there is something else to consider beyond general intelligence and that is spatial awareness. Spatial awareness, defined by a capacity for mentally generating, rotating, and transforming visual images, has been shown to be a better predictor of success in the STEM professions than general intelligence and plays a critical role in engineering and scientific disciplines. Tests for spatial ability might include matching objects that are seen from different perspectives, determining which cross section will result when an object is cut in certain ways, or estimating water levels on tilted bottles of various shapes. The Study of Mathematically Precocious Youth (SMPY), a talent search initiated at Johns Hopkins University in the early 1970s, identified gifted adolescents using quantitative, verbal and spatial tests. These participants have been followed for over 25 years and those who earned bachelors, Master’s, and doctoral degrees in science and engineering fields had especially strong spatial abilities compared to the rest of the sample. The findings, which are consistent with those of other recent studies, suggest that spatial awareness plays a major part in creativity and technical innovation and those who score high in tests of spatial ability often excel in the STEM professions. Thus, if you are recruiting employees in the STEM professions I would recommend you incorporate tests of general intelligence and spatial awareness. Whilst all your candidates will have the appropriate university qualification, there will nevertheless be differences between them and gauging that difference is difficult, if not impossible, from a transcript of their scores. University results are not standardised across different institutions and a distinction at one university may be a credit at another. A degree is a good starting point, however, if your business is aiming for excellence, selecting staff who score well on intelligence and spatial awareness tests is a good starting place. Even marginal differences in rates of return will yield big gains – or losses – over time. Hence, even small differences in general intelligence among people can exert large, cumulative influences across the life of a business. With the new school year having just started, and TAFE and university looming for many people, it is a good time to talk about effective learning techniques. What are the most effective ways to study and learn? Some study techniques accelerate learning, whereas others are just a waste of time. Before discussing what study techniques are the most effective, it is necessary to address the concept of “learning styles” and whether they play any role in learning. The notion of “learning styles”– that teaching to students’ preferred learning style will increase learning outcomes – appears to have widespread acceptance. However, just because an idea is popular, doesn’t make it true. A review of these, and other articles, on learning styles indicates there is no scientific evidence for the idea that matching teaching techniques to a person’s learning style improves learning outcomes. In fact, there are several studies that contradict this belief. People do have a sense of their own learning preferences (e.g., visual, kinesthetic, intuitive), but it is less clear that these preferences matter. This “neuromyth” persists despite our knowledge about the complexity and interconnectedness of the brain, and that common brain functions (particularly in the prefrontal cortex) cut across virtually any act of deliberate learning. Studies have consistently shown that catering to differences in students’ preferred learning style does not result in improved learning outcomes. On the contrary, there is good reason to believe that optimal learning for everyone involves the opportunity to engage in as many sensory modalities as possible. Aside from the myth of learning styles, what other more commonly used study techniques are ineffective? The answer is, rereading, highlighting and cramming. Rereading is a waste of time, and worse, gives the student the feeling that they have studied and are getting to know the material better and better. Rereading is like someone explaining the same thing repeatedly. It all makes sense so you say, ‘yes, yes, got it’, but recalling the information later is an entirely different thing. Students commonly highlight what they read, but research shows that it does not help memory. Most students highlight as they are reading the text for the first time, however, they do not know what is important enough to highlight. Finally, cramming does not work and the supposed learnt material does not stay in the student’s memory for long; a day or two at best and then it’s as if they never learned it in the first place. Cramming can have some short-term benefits, say for an exam the next day and you have left everything to the last minute, however, there are no benefits beyond that. Self-Testing: this is the most effective study technique to accelerate and consolidate learning; whether it’s flash cards, practise tests or making your own test. There are two main benefits to self-testing. First, in contrast to rereading, self-testing offers an accurate assessment of what has been learned and whether one needs to keep studying. Second, the process of recalling material strengthens neural connections and this in turn enhances learning and consolidates the material to memory. Distributed Practice: spacing out exposures to the material to be learned at intervals over time; spread out study sessions instead of cramming. Memory is more enduring when material is reviewed days or even weeks apart. 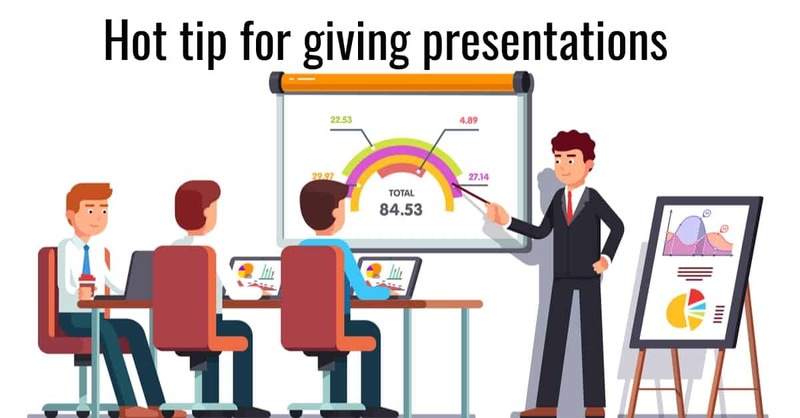 This is a practise that teachers and trainers can promote by giving more frequent assignments and quizzes that require a review of material covered earlier in the course. Even brief memory refreshers can result in big returns in learning. One study had students learn the English equivalent of Spanish words and then reviewed the material in six sessions. One group did the review sessions back to back, another had them one day apart and third did them 30 days apart. The students in the 30-day group remembered the translations best. Longer intervals are generally more effective. Peak performance came when sessions were spaced at about 10 to 20 percent of the retention interval, thus, to remember something for a week learning episodes should be 12 to 24 hours apart, for five years they should be 6 to 12 months apart. A secondary strategy, called interleaving, or mixing up different types of problems during practice sessions, also helps with learning and consolidation. Instead of just working on one discrete topic, try and include material from other unrelated areas. Memory strategies: mnemonics and method of loci. These can be useful for memorising facts or lists. A mnemonic is a memory technique whereby you make associations and links between what you are trying to remember and things that are unique for you. For example, I have always been able to remember Piaget’s stages of cognitive development by using “SPC”, which was a fruit canning company that was well known in Australia. Piaget’s stages were sensory-motor, preoperational and concrete (the first letter of each stage starts with s,p & c). I can always remember that even though my exposure to Piaget’s theory was at university 20 years ago. Similarly, and for some unknown reason, I can remember the birth order of Socrates, Plato and Aristotle by just remembering the word “spa”. This information isn’t particularly useful, except once during an episode of jeopardy, however, I can recall it anytime I want. The Method of Loci is excellent for remembering lists, although it does require some work upfront, however, once you have created the location of your list and recalled it a few times, it is very effective. My son and I recently did this for his English HSC exam. We typed out 33 quotes from plays, poems and novels and then stuck them on the wall, in categories, around the house. My son was then, with a bit of practise, able to sit at his desk and visualise where the quotes were and able to write down all 33 quotes. It took him about 5 attempts to get 100% accuracy, but it worked and during the exam he could recall, and use, all the quotes. English ended up being his highest exam mark. 1. Put crucial information in a hard-to-read font: in a 2011 study people who had to read unfamiliar or less legible fonts displayed better memory for the information than those who had easily readable fonts (font size made no difference). 2. Exercise: people who had a workout shortly after or before learning did better on tests of recall in the hours, days or weeks that followed. 3. Sleep: research has demonstrated that memories are consolidated during sleep. 4. Context dependent learning: information is recalled better in the same context, or state, in which it was learnt. One study got people scuba diving to learn a list of words while diving and recall was better when they were underwater than on dry land. You don’t have to be a student to apply and use these learning techniques as they can applied to most roles and situations. If the world as we know it ended but somehow you and a small group of people survived, and you could have one piece of workable technology to start rebuilding civilisation, what would you choose? My answer is at the end of this article. I am treating creativity and innovation as synonyms and defining it as “new ideas successfully applied”. It is more than having an idea; it is about putting ideas into practise and making them useful. Most innovation is continuous improvement as opposed to one revolutionary piece of technology. For example, putting wheels onto a suitcase. The suitcase had been around for a long time, but it took an airline captain to come up with the idea of attaching wheels. The success of this simple act of creativity and applying it is on show everyday at every airport in the world. This approach of creative continuous improvement is the area where most businesses or organisations can focus their creative energies. 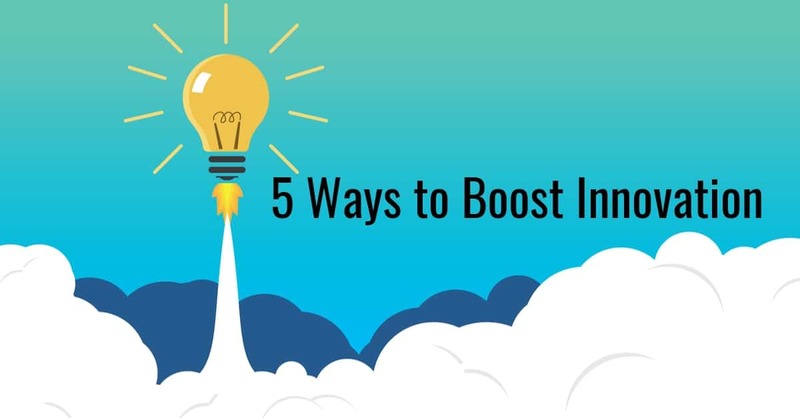 Not only is it self-evident that innovation and creativity are essential if a business or organisation wants to grow and prosper and stay ahead of their competition, but it is also backed by research, business leaders and academia. Further to that, it would not be too hyperbolic to assert that the fate of us and planet earth are fundamentally linked to how creative we are at dealing with the many challenges ahead. As a species, we are adaptable creative problem-solvers, but at the individual level, there is a lot a variation, with some people being more creative than others. Much of this difference comes down to our personality, particularly “openness to experience”, or being open-minded. Among the “Big Five” personality traits, openness to experience is essential to creativity. Those who are high in openness tend to be imaginative, curious, perceptive, creative, artistic, thoughtful and intellectual. They are driven to explore their own inner world of ideas and emotions, and outwardly, to seek out and attempt to make meaning of new information in their environment. Open to experience is the single strongest and most consistent personality trait that predicts creative achievement. Roughly speaking, people solve problems in one of two ways: they either tend to rely on moments of insight, or they prefer to approach them analytically. Answering questions with analysis involves finding solutions through deliberate, methodical trial and error, whereas insight is perceived as an abrupt epiphany. Both methods are useful, but insight is typically seen as the best option for “out of the box” solutions. Often an insight will come with a lot of conviction and confidence, so you must be objective and evaluate the idea. Check your idea with trusted friends or colleagues. The feedback and support could help determine how well your idea can be turned into practise. Do not be discouraged if your insight and initial enthusiasm is rebuffed or less than perfect. Creative people often describe going through many failures before reaching a successful solution. Creativity has been linked with the acquisition of expertise. Solutions to problems demand practice, skill and study. The more you know about a problem, the better equipped you are to solve it. Likewise, creative solutions often occur when someone applies their experience and expertise to different or unrelated areas, which is why cross-discipline collaboration is so important. Priming is about generating a temporary mindset that increases the likelihood of you generating creative ideas. To prime yourself you need to sit down and write, or type, about a time when you felt happy and confident, or about your goals, dreams and aspirations. There are no hard and fast rules about the content as long as it is positive and goal-oriented. You need to write a few paragraphs for at least five minutes. Do this before a brain-storming session or when you are actively trying to solve a problem. The research showed that people who were primed to focus on their goals and aspirations, or their happiness, generated more ideas in brainstorming exercises. What you wear also influences your mind-set, performance and even hormone levels. The clothes you wear can affect your mental performance; so, if you want to be a big-ideas person at work, suit-up. Wearing formal business attire increased abstract thinking, which is an important aspect of creativity. Once you have immersed yourself in a problem, an effective way to come up with a creative solution is to stop consciously thinking about it. Sleeping on a problem or stepping away from it through exercise or focusing on an alternative activity can help you unconsciously cultivate creative solutions. When you do things like go for a long walk, your subconscious mind keeps working on problems. The experience of having the mind slightly relaxed and distracted frees it up to explore different permutations of ideas and test out different solutions. Once a solution seems plausible it will pop into your head as an “aha” moment. Many day-to-day problems can be solved this way, and which explains why so many people recall stumbling on ideas while taking a shower, driving to work or simply walking down the road. Many people believe in the myth that innovation happens when a solo genius has an aha moment, but that is usually not the way. In fact, most innovations happen through collaboration, with many false starts and missteps along the way. Often innovation results from combinations of many ideas, even old ideas being combined in new ways or being applied to new circumstances. Innovation is a collaborative problem-solving process and often among people with diverse perspectives and expertise. Embrace debate, novelty, and the vigorous expression of different opinions. Amplify rather than minimise differences, and actively listen and advocate for your point of view. The friction created as people present, defend and critique ideas are the ingredients of creativity and innovation. Create a work place culture that encourages any idea, no matter how silly or irrelevant it may appear at first glance. Allow people to have an almost stream of consciousness during brain-storming sessions. Encourage your staff to describe objects or ideas in unusual ways. Get them to lie down on the floor or close their eyes and ponder the problem. Unusual or novel behaviours can trigger a burst of creativity. For example, people who display contradictory mental and physical states, they thought of a sad memory while smiling or listened to happy music while frowning, were better able to think outside the box. I did say at the beginning I would give my answer, well, this is not my answer but the one put forward by the historian Tim Hartford, who poses the question in the first place. His answer was the plough. It was the plough that kick-started civilisation in the first place. The plough allowed people to stop being nomadic and instead could settle in one place and generate a surplus of food. With that surplus came time, and with time people could specialise in other endeavours. More than likely there are many ways to be a better boss, especially given the volume of books published on the topic (4 a day) and the daily aphorisms we see, however, the following are some evidence-based ways to be a better boss. Egotistical and big-headed bosses, those who do not listen to well-intentioned criticism and feedback, ignore their staff’s ideas and suggestions, or worse, scapegoat them for their own failings and mistakes, are especially corrosive to any business and can diminish productivity and increase staff turnover. Conversely, modest leaders, those who are humble and credit their team for success and not themselves, have a much more positive impact on their staff. Jim Collins’ excellent book, “Good to Great” defined “Level 5” leaders as “self-effacing, quiet, reserved, even shy”. A Level 5 leader was someone who took a good company and made it great, with that growth being sustained well after the leader left the company. However, how can you tell if your ego is having a negative impact on your leadership style? How do you even know if your ego is causing problems with your team? We are often blind to the effect we have on others and one reason is because we do not see our own facial expressions, gestures and body language. Given 60% of communication is non-verbal in nature, and as we cannot see our own non-verbal communication, we are missing much of how we communicate to the world. A good starting point is to do the “gossip test” on yourself. Ask yourself what you think your team may say about you and what you would like them to say about you. Do they match? Ask yourself if you would be comfortable having your children or other loved ones seeing how you behaved at work. You could ask a trusted friend or colleague to give you some frank and honest feedback about whether your ego had a negative impact on your leadership style. Perhaps consider an anonymous staff survey with enough respondents so the results have some statistical significance. Some objective data may help, such as rates of absenteeism or staff turnover. Confronting your own ego is challenging and confronting, but if you are motivated to be a better boss then it is something that at least needs to be reviewed. The positive impact on motivation and staff engagement when employees have a sense of control over how they do their job is one of the most robust and reliable findings in psychological research. Researchers consistently find that one of the most effective ways to reduce stress among workers is to offer them some autonomy – a sense of control over how they do their job. Roles vary with the degree to which an employee can set their own hours or decide what part of the job they do and when, however, the more someone is the master of their own destiny the less stressed they will be. If possible, give staff a say in how things are done in the work place. Great bosses give employees a sense that they have some choice in what they do and how they do it. Employees who used their phones or computers for work-related tasks during their off-hours were less emotionally detached from their work and had elevated stress levels. Employees who thought about and engaged with work the most during off-hours were less effective than those that did it less. However, employees who never checked in or thought about their job when away from it tended to perform poorly as well. It seems that, as with most things in life, moderation is the key when it comes to answering work emails from home. As a boss, establish a culture that encourages people to unplug when they are off the clock and if they must check their email, then do it in moderation. There is debate about whether ‘tangible’ carrots such as bonuses and prizes have a lasting impact on motivation and performance. However, one carrot that nearly always works is positive feedback – people rarely do not appreciate a pat on the back and recognition for a job well done; positive feedback is something that feels good to anyone who is getting it. When employees do a good job, remember to tell them so; it is easy and free. Try and limit your own and your employees’ multi-tasking. The human brain is a sequential processing machine, not a parallel processing machine like a computer. Trying to do tasks simultaneously rather than completing them sequentially can take longer overall and reduces our ability to perform each task. A stark example of this is the sometimes-fatal danger of using a mobile phone while driving, particularly texting. We can perform automatic or well-learned tasks simultaneously, or ones that are not particularly cognitively demanding, such as cooking, talking to the kids and following a game of footy, or walking and having a conversation. However, once the tasks become cognitively demanding our ability to successfully attend to two or more tasks diminishes rapidly. Multitasking saves time only when it is a matter of relaxed, routine tasks. It is almost impossible to carry out two or three different tasks simultaneously with the same degree of concentration. In fact, the seemingly simultaneous awareness and processing of information takes place in three second windows. What appears to be multitasking is more like channel surfing among different television stations. A person can concentrate on a conversation for three seconds, then the crying baby for three seconds, then the television for three seconds, but not all three at the same time. In an experiment, researchers asked participants to write a report and check their email at the same time. Those individuals who constantly jumped back and forth between the tasks took about one and half times as long to finish as those who completed one job before returning to another. To be a better boss, check your expectations about your own and others’ ability to multi-task and arrange work so it can be focused on one task at a time. Related to multi-tasking, is try and adopt the practice of not disturbing your staff when they are “in the zone” and focused on their job. When you get disturbed by a colleague, phone, text or email whilst you are focused on a task, it takes approximately 25 minutes to get back to that focused state. During the experiment, researchers purposely called or texted college students in the middle of a task and found that the students made about 25 percent more errors than when they were left alone. One simple way to be a better boss is to not disturb your staff when they are focused on their job. 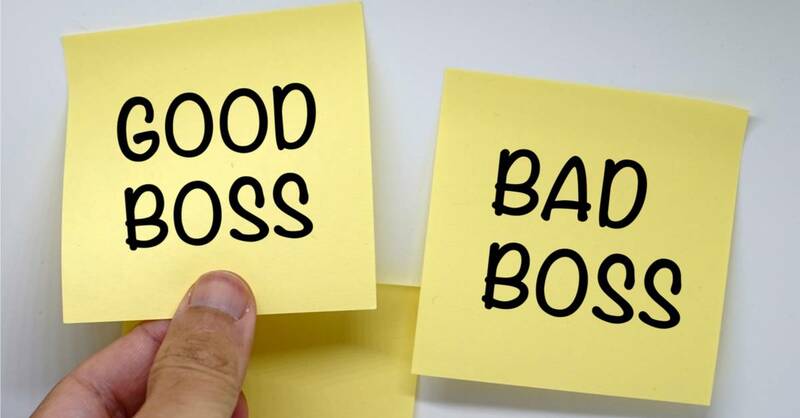 Six ways to be a better boss is a combination of humility, having the confidence to let your staff have some control over their job, making sure they have some mental down-time, whilst also giving them a pat on the back, limiting multi-tasking and stop disturbing them. Motivating staff and keeping them engaged can be an ongoing challenge for many managers and leaders. What are some achievable strategies to motivate staff, and conversely, what are some things to avoid. Motivation is generally described as a dichotomy: internal motivation, i.e., “intrinsic” or external motivation, i.e., “extrinsic”. Extrinsic motivation is when behaviour is driven or shaped by external forces, such as renumeration or incentives. Extrinsic motivation is more the carrot and stick approach and once the incentive or threat is removed so to is the desired behaviour. Intrinsic motivation is when the behaviour is driven by internal reasons, such as the joy and pleasure of doing something well or belonging to a high performing team or working for an organisation that has the same values as you. There is an internal reward that motivates you to do well and care about the outcomes. The research into this topic clearly comes out on the side of encouraging or developing intrinsic motivation with your staff. Having management practises in place that develop your employee’s internal drive to perform well at their task, as opposed to relying on external factors, such as authoritarian management, or pay and incentives. This does not mean an employee’s wages and conditions are not important, however, often these are beyond the control of managers or there is no room to negotiate further. Plus, there is a limit to how much these external factors impact on motivation, and in some cases, they may even demotivate staff. Develop a sense of competence in your staff. Increase their skill level and help them be the best they can be at their job. This can be achieved through formal recognised training programs or through other vocationally related courses. Consider having a mentoring program in place or peer collaboration and support. Developing a sense of competence goes beyond the direct skills of the job and can extend to “soft skills” training, such as coping with stress or resilience, first-aid course or perhaps personal health and wellbeing. There is a myriad of ways to develop an individual’s sense of competence, with this development being enhanced and consolidated by words of encouragement and support from their manager. Research shows that when managers help their staff to become more competent, other aspects of their mindset improve as well. Also, a person’s perception of how competent their manager thinks they are has more influence on their self-image than the person’s own perception of their competence. Encouraging competence drives internal motivation and improves one’s mental state. Competence alone is not enough to boost intrinsic motivation and it must be accompanied by the perception of autonomy. Autonomy relates to staff having a perceived sense of control over their decisions and behaviours. Allow your staff to participate in decisions that affect the day-to-day business of the workplace, and where possible, allow the employee to determine how they tackle the daily demands of their role. Autonomy-supportive behaviours range from acknowledging your staff’s perspective, avoiding excessive controlling behaviours, and providing them with choice and opportunities for independent initiative. This idea has played out in a host of research that compares autonomous-supportive environments where people have a sense of control over their decisions and behaviours, as opposed to more controlling approaches in which those being managed simply followed orders. The results of research show that give employees a sense of autonomy is associated with greater intrinsic motivation in employees. Relatedness concerns the nature of the working relationships within your organisation. How well staff at all levels get on and relate to each other. The goal to is to develop a team with high quality working relationships, where people relate to each other as friends, colleagues and co-workers, supporting each other and helping to get the job done. A long line of psychological, evolutionary and anthropological research supports the emphasise on relatedness. It shows that our desire to form meaningful relationships powerfully influences our intrinsic motivation. Thus, the three ways to motivate your staff in a meaningful and sustainable way is to provide an environment that has a growth mindset and values learning and development. This is supported by giving staff as much control over their own destiny as is practical and achievable within the constraints of your enterprise, all in the context of high-quality working relationships. Whilst I have titled this post “3 ways…”, there are most likely dozens of ways to demotivate staff and my slim offerings are no doubt the tip of the iceberg. 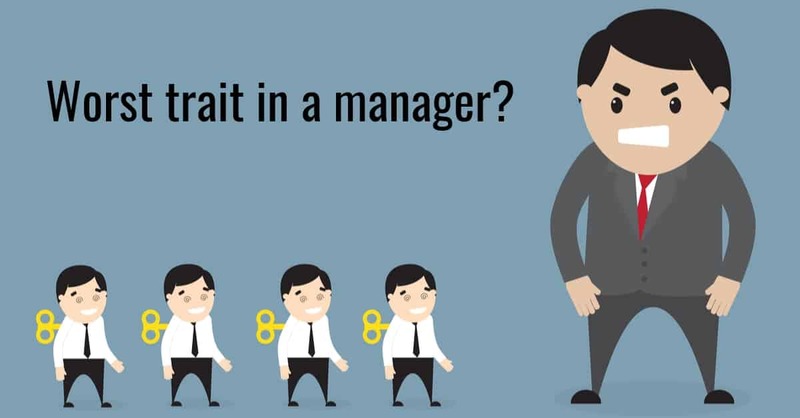 Having a manager who micromanages their staff sends a strong signal of distrust. The manager does not trust their staff enough to leave them to their own devices and initiative. 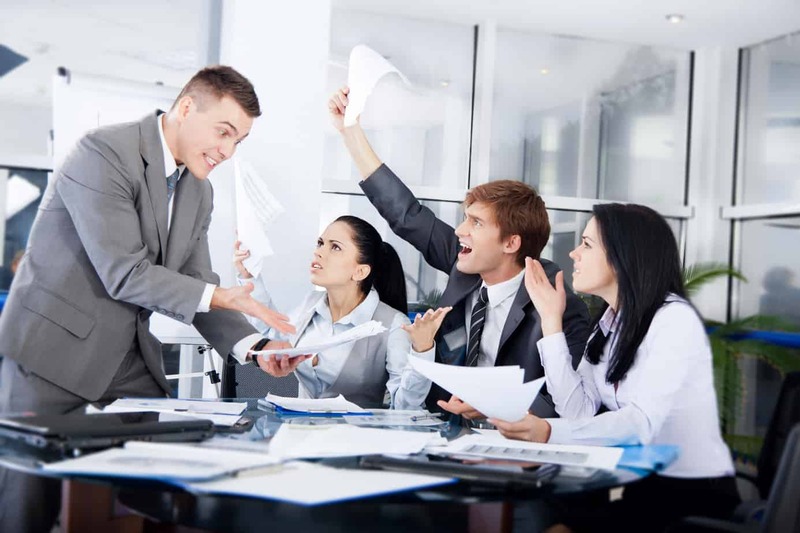 Being micromanaged is demeaning and demotivates staff because it takes away their own sense of control and autonomy. Plus, this behaviour is personality based and difficult to change, therefore, from the employee’s perspective, it is relentless and will never stop. A survey in 2018 of over 5000 employees found that being micromanaged was by far the worst trait in a manager. Most people do not like being micromanaged and it will certainly demotivate and stifle any initiative and mostly likely encourage your staff to always be on the lookout for another job. A manager overtly behaving in a way that signals they have favourites is a path to civil war and almost guaranteed at demotivating the unfavoured staff. People can easily discern whether they are part of the in-group or the out-group. Managers need to be aware of the implications of showing preference for some staff over others in their behaviours. If you want a cohesive team operating in an environment where people help each other and deliver results, then you cannot have a manager who behaves differently to some people compared to others. A manager will most likely have better rapport with some staff over others, however, one of the functions of being a good manager is not showing it. A manager cannot spend more time with some team members versus others and they cannot talk in a positive tone to some team members and a less-positive tone to others. Or, more to the point, not being taken seriously. Staff need to be valued, genuinely listened to and taken seriously. By “seriously” I mean recognising and acknowledging employees as unique individuals. Australia’s leading social researcher, and psychologist, Hugh Mackay, wrote a book called, “What Makes Us Tick” in 2010. In the book he discussed 10 desires, or motives, that explain why we behave the way we do. He speaks of all the desires as being equally important except one; the desire to be taken seriously, which he believes is the most important of all the 10 desires. 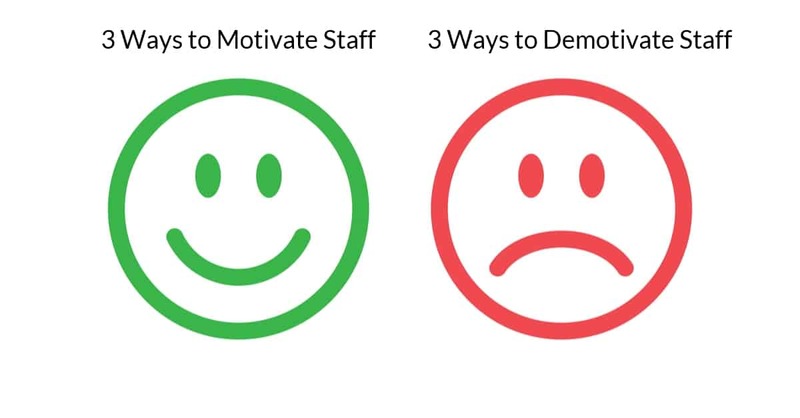 As mentioned, there are most likely dozens of ways to demotivate your staff, however, micromanaging, showing favourites and not taken them seriously, is near the top of the list. What are the 7 Personality Traits of Top Salespeople? The Harvard Business Review published an article in 2011 by Steve W Martin where he discussed findings from his research into the personality traits of highly effective salespeople. After administering personality questionnaires to 1000s of salespeople and then comparing the results of the top performers against average and below average performers, Steve was able to compile the 7 personality traits of the top performers. The seven traits are discussed below, however, with trait-based personality profiles the scores range from very high to very low, as opposed to a typology-based approach where respondents either fall into a “type” or they don’t. The psychological research generally supports a trait-based approach for personality and behavioural profiles. Modesty: High scorers on the modesty trait are humble, modest and self-effacing, whereas low scorers feel superior to others and are seen as arrogant and conceited by others. Steve’s research found that 91% of top salespeople had medium to high scores of modesty and humility. 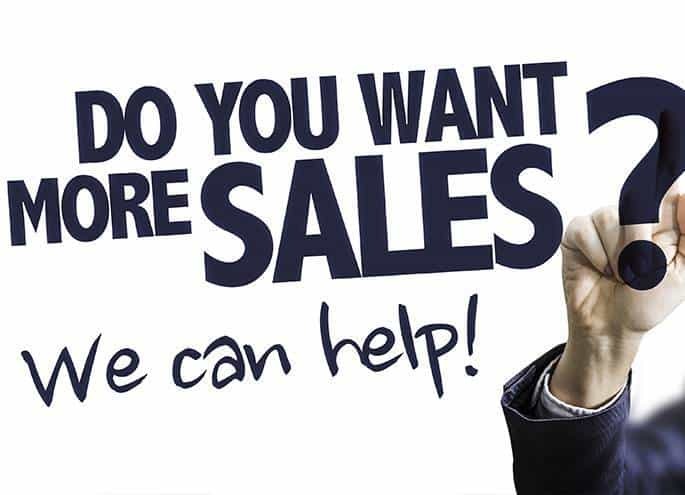 Some people may find that result surprising as the popular image of a salesperson is a pushy in your face sort of person. Whilst that may be the stereotype of salespeople, it doesn’t mean that approach is effective, indeed, this research suggests the opposite. Highly effective salespeople are humble and modest people who work well within a team environment. Conscientiousness: High scorers are well-organised, reliable, disciplined and focused individuals, whereas low scorers are careless, lackadaisical, unreliable and disorganised. The research found 85% of top salespeople had high levels of conscientiousness, whereby they could be described as highly reliable and dependable and take their responsibilities seriously. This finding seems self-evident and would apply to success in most fields, however, it was borne out in the research and a stronger work ethic predicts greater success than just ordinary or average levels. Achievement Orientation: High scorers are ambitious, goal-oriented, and enterprising, whereas low scorers are complacent and aimless. Eighty-four percent of the top performers tested scored very high, not just high or above average, but very high, in achievement orientation. They are almost obsessed on achieving their goals and continuously assess their performance in comparison to those goals. They plan and consider the people they are selling to and how the products or services meet the needs of those people and their organisation. Curiosity. High scorers are inquisitive, intellectual curious, and open-minded, whereas low scorers lack curiosity and have a narrow range of interests. The top salespeople scored in the extremely high range for intellectual curiosity, with 82% of the top performers scoring in that range. High performers were significantly more curious than their lesser performing peers. Being highly curious translate into being an active presence during conversations with clients and an heightened awareness of the client’s needs. Outgoingness: High scorers are gregarious, social and prefer the company of others, whereas low scorers are introverted and prefer privacy and solitude. The findings from the research were surprising and perhaps counterintuitive, as the top performing salespeople scored 30% lower for outgoingness than average performers. This finding has also been replicated by Adam Grant, Professor of Psychology at Wharton, University of Pennsylvania. Professor Grant’s research found that ambiverts, those who scored half-way between introversion and extraversion, are more effective salespeople than extraverts. Ambiverts are more flexible and variable in the way they engage customers, achieving a better balance between talking and listening, and not dominating the conversation. Emotional Reactions: High scorers are prone to worry and get upset in stressful situations, whereas low scorers are calm, even-tempered, relaxed and do not get upset easily in stressful situations. Less than 10% percent of high performing salespeople were classified as having high levels of emotional reactions, and conversely, 90% percent scored in the low range for emotional reactions. The top performers can handle emotional disappointments, cope well with the inevitable rejections of sales work and bounce back quickly and mentally prepare themselves for the next opportunity. Social Concerns: Social concerns, or self-consciousness, is the measurement of how easily someone is embarrassed. High scorers are shy, inhibited and self-conscious, whereas low scorers are socially confident and self-assured. Less than 5% of top performers had high levels of self-consciousness. Highly effective salespeople are comfortable dealing with difficult customers and are not deterred by obfuscation and outright rejection. They are thick-skinned and do not take rejection personally and will bravely cold call new prospects. These seven traits squarely map onto the Five-Factor Model of Personality, sometimes referred to as the “Big 5”. The Five-Factor Model is the dominant model of personality across the globe and has been for many years. The methodology for the research cited in this article used the Five-Factor Model as the measure for determining what were the key traits for highly successful salespeople. These traits can be measured during the recruitment phase for your next salesperson, or for a professional development activity, using the NEO-PI-3. The NEO-PI-3 was developed by the, Costa and McCrae, the two researchers who are credited for the development of the Five-Factor Model. These seven traits would not be the only variables to consider when hiring or developing high performing salespeople. General intelligence and verbal fluency would play a role, as well as the culture of the organisation and the ongoing support and training sales staff receive. However, measuring personality traits and cognitive abilities is reliable and straightforward and is the starting point in your journey towards building a team of superior sales staff. 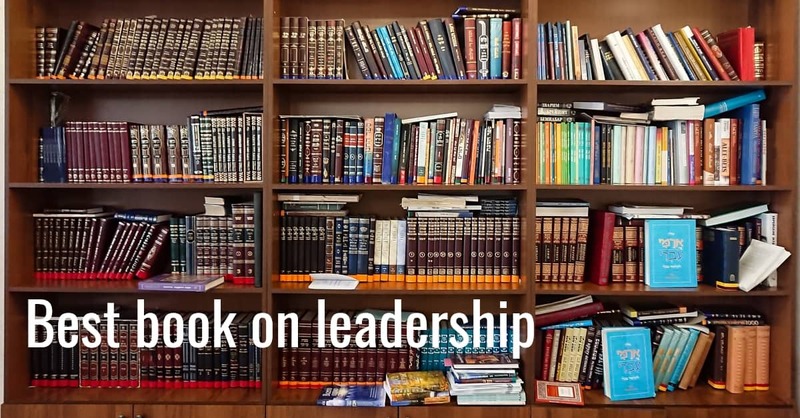 I recall listening to a podcast on ABC Radio National titled, “Coping with the dark side of people at work” and in it the interviewee mentioned that there were 70000 books in the British Museum with the word “leadership” in the title. That is a staggering statistic and really serves to highlight the voluminous literature on the topic of leadership and management. That is astounding and perhaps overwhelming. How can anyone really have any idea on what books to read on the topic without fearing you have missed something. I am not about to make a recommendation per se, although I do mention one book and one study, but I would rather like to offer an approach to help you decide what to read and focus on. One approach is to focus your reading on books, or reports, that adopt a scientific approach to the topic and have a cross-sectional, or longitudinal methodology, with a large sample size. The best exemplar of that approach that I am aware of is Jim Collins’s “Good to Great”. If you are going to read just one book on leadership and management and try to follow and implement the advice, it would be that book. Jim Collins’ study started with 1435 companies. After reviewing 6000 articles and generating more than 2000 pages of interview transcripts, his team of 20 researchers who combined contributed 15 000 hours of work, identified the 11 companies that he described as “great”. It is difficult to ignore the outcomes from that level of intellectual rigour and process. But, what about a home-grown local version of Good to Great? There was a very good paper published in 2003 that adopted the same approach as Good to Great, albeit on a much smaller scale. In December 2003 the Graduate Program in Business and Technology at UNSW released a paper titled, “Simply the Best Workplaces in Australia”. The purpose of the study, which was conducted with the support of the Business Council of Australia, was to identify some excellent workplaces in Australia – the leading workplaces and exemplars of productivity. The study was much smaller in scope than Good to Great and was based on 16 workplaces from 10 companies, however, there were still extensive interviews, surveys and other collateral information gathered. In the end the study identified 15 key drivers that were present in all the identified excellent workplace. However, the number one driver was, “quality working relationships” and it was described as the “central pivot” on which excellent workplaces are founded and was underpinned by other drivers, such as good workplace leadership, clear values, having a say and being safe. The quality of working relationships: people relating to each other as friends, colleagues and co-workers, supporting each other and helping to get the job done. Workplace leadership: how the immediate supervisor, team leader, manager or coordinator presented himself or herself, their focus of leadership and energy, not management and administration. Having a say: participating in decisions that affect the day-to-day business of the workplace. Clear values: the extent to which people could see and understand the overall purpose and individual behaviours expected in the place of work. Being safe: high levels of personal safety, both physical and psychological, emotional stability and a feeling of being protected by the system. Built Environment: a high standard of accommodation and fit out with regard to the particular industry type. Recruitment: getting the right people to work in the location is important and they need to share the same values and approach to work as the rest of the group. Pay & Conditions: a place in which the level of income and the basic physical working conditions (hours, access, travel and the like) are met to a reasonable standard, at least to a level that the people who work there see as reasonable. Getting Feedback: always knowing what people think of each other, their contribution to the success of the place and their individual performance over time. Autonomy & uniqueness: the capacity of the organisation to tolerate and encourage the sense of difference that excellent workplaces develop, their sense of being the best at what they do. A sense of ownership & identity: being seen to be different and special through pride in the place of work, knowing the business and controlling the technology. Learning: being able to learn on the job, acquire skills and knowledge from everywhere and develop a greater understanding of the whole workplace. Passion: the energy and commitment to the workplaces, high levels of volunteering, excitement and sense of well-being, actually wanting to come to work. Having fun: a psychologically secure workplace in which people can relax with each other and enjoy social interaction. Community Connections: being part of the local community, feeling as though the workplace is a valuable element of local affairs. • Working arrangements and representation and covered union or non-union, contracts of employment, or hours of work. • The composition of the workplace, in terms of age, gender or ethnicity. The drivers, without exception, were present in varying mixes in all the excellent workplaces surveyed. However, Quality Working Relationships was the central factor from which all the other drivers, in varying degrees, contributed to excellence. A hierarchy emerged amongst the drivers, with Quality Working Relationships being underpinned by Good Workplace Leadership, Clear Values, Having a Say and Being Safe. These drivers were further supported by Pay and Conditions, Getting Feedback, the Built Environment and Recruitment. From those drivers flow others such as Having Fun, Passion, Community Connections, Learning, a Sense of Identity and Ownership, and Uniqueness and Autonomy. Thus, if you are feeling overwhelmed with the sheer numbers of books on leadership and management and are confused about what to read, perhaps spend some time reviewing the books methodology as a way of determining whether it’s worth the time and effort. I am a Psychologist and owner of Fermion. I enjoy keeping up to date with the latest research in psychology and sharing that information. There are a lot of fads, gimmicks and clichés in the people & culture field and I believe it is important to be sceptical of hyperbolic claims about human behaviour. The focus of Fermion is helping businesses and organisations from making poor hiring decisions. It is through being up to date, and not tied to an accreditation or human resources product, that I can give my clients the latest and best scientific and empirical advice. If you would like to learn how to avoid hiring the wrong person contact Fermion. One of the most important decisions any business or organisation makes is who they hire, however, of more importance, is who they appoint as a leader or manager. The main reason people leave a job is due to difficulties with their direct line manager. A Gallup survey found that only 13% of staff are “engaged” and that low level is attributed to the poor quality of managers and leaders. The flip side is that the driver of staff engagement and productivity is a high-quality leadership team. This was a US survey and the results of surveys are only as good as the questions asked and the nature of the sample, however, it is reasonable to assume that the results would most likely generalise to Australian, and other western, workplaces. But even if they don’t, the main issue is not the actual traits or percentages, because people were asked to rate negative behaviours so of course the results will generate negative outcomes, but that most managers and leaders will exhibit some traits and behaviours that will annoy their staff. How can you know how your staff would rate you in a similar survey? Surveying your staff in a non-anonymous survey will most likely not yield much honesty. How much self-awareness any of us have is an interesting topic and one for another day, however, regardless of how well you think you manage others, your staff may have a different opinion. One approach to think about how you may be perceived is a thought experiment called the “gossip test”. Everyone gossips. It is a part of our nature and is a way of building and maintaining friendships and allies. You cannot stop people from gossiping, although you do need clear rules about malicious and unacceptable gossip. But, that aside, your staff will talk about you. • What do you think your staff say about you? • What you would like them to say about you? • Does your behaviour and actions reflect what you would like others to say about you? • Would you like your family or friends to see you at work? What you think they will say and what you would like them to say can help you reflect upon your behaviour. Are you a micromanager or are you overly critical or disorganised? Perhaps on the other hand they may say that you are always there for them and you can be trusted. It can be a confronting exercise, but it can be a useful way to help you think about how you manage your staff and interact with others. For many people, delivering an important presentation or speech, starting on a new team, having a job interview or attending a networking event, can be an emotionally taxing process and one that many dread or avoid. However, avoidance is either not an option or if it is, it holds many people back from achieving their goals. With that in mind, what are some empirically supported methods of preparing for those anxiety plagued moments in your life and what is the hot tip? There are the usual preparatory methods of visualisation and practise, especially in the presence of someone or filming yourself; try to put yourself under pressure. It is imperative that you know your material and there are well researched learning and memory strategies that can help you learn and consolidate your knowledge. On top of that you want to avoid freezing or forgetting everything because you are too anxious and are monitoring yourself and over-thinking your performance. If you know your material well, monitoring your performance can inhibit a smooth delivering because of the way the brain works. Knowledge and skills that you have mastered become automatic processes controlled by the cerebellum, which controls complex motor tasks, and is not consciously accessible. However, monitoring your performance is a conscious process that is controlled by the cerebral cortex. When you are monitoring your performance these two processes interfere with each other and can cause you to freeze, forget your material or stumble on your words. 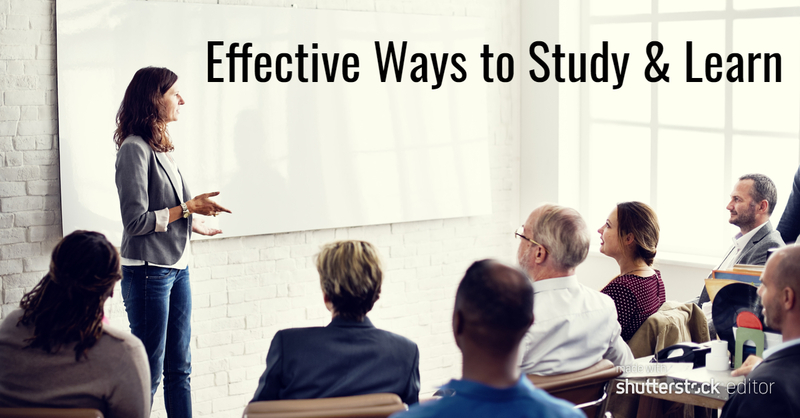 In addition to these strategies, there are “power poses”. Amy Cuddy, psychologist from Princeton University, gave a fascinating TED talk on power poses. When you stand up with your arms and legs spread and hold that position for two minutes it can help you come across as more confident. Amy Cuddy’s research found that holding the power pose for two-minutes can help you feel more confident when approaching a challenging situation. 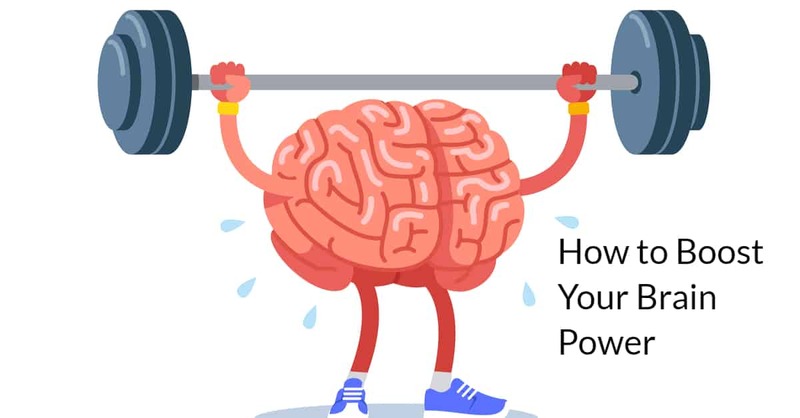 Her research found that after holding a power position for two minutes the participants not only reported feeling more confident and powerful, their levels of testosterone increased, and their cortisol decreased. However other studies showed a down-side to power poses. That research found that what power poses actually did was made people more confident in their own thoughts at the time of doing the power pose. The research found that power posing increased self-confidence, but only among participants who already had positive self-thoughts. In contrast, power posing had the opposite effect on people who had negative self-thoughts; in fact, it lowered their self-confidence. Thus, it seems that power posing exacerbated the emotional state you were and did not change your emotional state. People who are already confident and self-assured benefit from power posing, but many people may be worse off. So what is the hot tip in how to prepare for a challenging event? The answer is a behaviour called “priming”. Priming is the process of temporarily shifting your mind-set before a first meeting, presentation or any socially challenging situation; priming effects the attitude that you take to the situation. To prime yourself you need to sit down beforehand and write, or type, about your goal for the event in the context of your larger career goals or life dreams and aspirations. You also include comments about your abilities, skills or attributes that you have that can help you achieve your goals. You can recall a time when you felt confident, powerful or especially satisfied with an achievement. There are no hard and fast rules about the content as long as it is positive and goal-oriented. You need to write a few paragraphs for at least five minutes. Getting in the right mind-set is more than saying positive affirmations to yourself on the way to a meeting. Priming is a deliberate conscious action that requires you to stop and write for at least five minutes. Make your narrative energising and optimistic but also realistic. It works. There is empirical evidence that shows people who do a priming task before a meeting or presentation are judged as more competent and confident when compared to a control group who did not do the priming task. Come up with a few narratives for different situations and before your next challenging event plan to set aside some time to do the writing task. I do also wonder, although I have not read any research on the topic, how doing a priming task first and then a two-minute power pose, might really give you that extra boost of confidence. Either way, try doing a priming task. Do a trial run and just practise writing something down for five-minutes and then before your next challenge give it a go. Thus, the hot tip when giving a presentation or interview is priming, perhaps followed by a two-minute power pose. However, you also need to know your material and practise your delivery under stressful conditions and try to avoid monitoring your performance. What is the best personality profile? What is the best and most reliable way to describe people. We all use the word personality but defining it can be more problematic. We all have a “personality” and when people are surveyed about the most desirable characteristics they want in a future partner, intelligence and “personality” typically rate in the top three attributes. What is personality? In general terms it is a set or repertoire of behaviours that is usually consistent across time and situations; enduring patterns of thoughts, feelings and behaviours that characterise the person. There is variability but for most day-to-day situations and contexts, excluding highly stressful, novel or significant power differences, our personality, or behaviour, is stable and predictable. We cannot predict specific instances of behaviour but knowing a person’s personality can help predict how they will behave most of the time in normal, physically and psychologically safe, conditions. How do we measure someone’s personality and what is the best personality profile? What behavioural assessment or personality profile, amongst the numerous products on the market, is the best or most accurate, particularly in the recruitment staff selection context? The use of psychometric testing for recruitment, typically aptitude and personality related measurement, has grown significantly over the past 30 years. In line with that growth there has also been a proportional growth in the number of psychometric tools and tests now available. For example, after conducting a 30-minute survey of the internet and viewing known test provider websites I was able to identify 36 different personality or behavioural assessments. Included in this number is the capacity for some profiles to produce more than one report from the completion of one questionnaire. “The largest portfolio of 1,000+ off-the-shelf assessments that precisely measure skills, behaviour and performance, and accurately predict potential for all major job categories and levels in every sector”. Thus, with so many tests available, and providers making such strong claims, how can a consumer of psychometric testing decide upon the best and most accurate test or profile? One approach is to be cognisant of the outcomes of scientific research and what are the outcomes of decades of personality research. There are many good reasons to adopt a scientific approach to recruitment and psychometric testing, however, the most salient reason is the same reason why science has proved to be such a successful endeavour in human history. One of the strengths of science is the notion that theories are always trying to be disproven. A scientist postulates a theory and then other scientists attempt to disprove that theory. The longer the theory cannot be disproven the more robust the theory and the more widely accepted that theory becomes. Thus, what has the science of personality research revealed over the past three decades? The research into personality over the past three decades has overwhelmingly supported a model of normal personality referred to as the “Five-Factor Model of Personality” or sometimes called the “Big Five”. The field of psychology and the science of personality has consistently supported this model of personality, indeed, many of the widely used personality profiles (OPQ & HPI) are based on the Five-Factor Model of Personality. However, the only personality questionnaire and profile that measures the Five-Factor Model is the NEO-PI-3. In the Five-Factor Model we can be analysed along five continuous, non-overlapping dimensions: openness, conscientiousness, extroversion, agreeableness and emotional stability. “The Big-Five/Five-Factor Model of personality, based on the trait approach, is considered by most authors to be the most investigated and validated model of personality currently available”. “In the 1980s a consensus began to emerge on a Five-Factor model developed by Costa & McCrae. Support for the Five-Factor model has been further strengthened by a series of meta-analyses confirming the Big-Five’s predictive validity in terms of behaviours and life outcomes across a wide range of contexts. The Five-Factor model is now the most widely accepted general model of personality used today”. “The NEO-PI-R is rapidly becoming one of the most popular measures of normal personality in the research literature. The psychometric properties, including predictive validity, of this inventory are uniformly favourable as evidenced by empirical reviews”. “If you or others feel you must use personality testing as part of conflict resolution, consider using non-categorical, well-validated personality assessments such as the Hogan Personality Inventory or the NEO Assessment of the “Big Five” Personality dimensions. These tests, which have ample peer-reviewed, and psychometric evidence to support their reliability and validity, better explain variance in behavior than do categorical assessments like the Myers-Briggs, and therefore can better explain why conflicts may have unfolded the way they have. And unlike the Myers-Briggs which provides an “I’m OK, you’re OK”-type report, the Hogan Personality Inventory and the NEO are likely to identify some hard-hitting development themes for almost anyone brave enough to take them, for example telling you that you are set in your ways, likely to anger easily, and take criticism too personally. While often hard to take, this is precisely the kind of feedback that can help build self-awareness and mutual awareness among two or more people engaged in a conflict”. 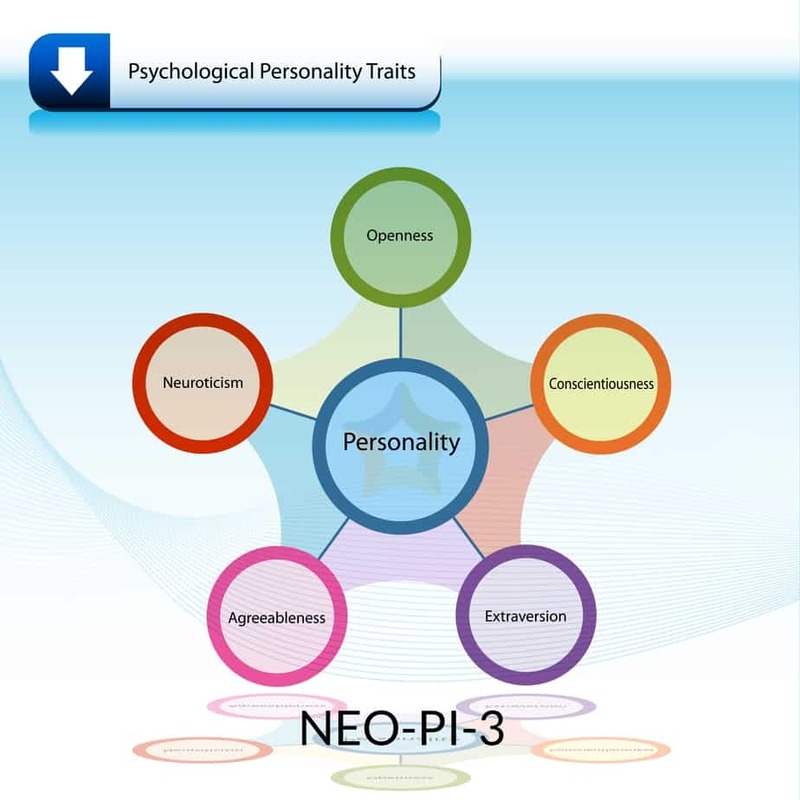 Therefore, the personality profile supported by independent scientific research is the Five-Factor Model of Personality as measured by the NEO-PI-3 and is the profile I would recommend for recruitment and staff selection. I was talking to a friend recently who is the manager of a team of trainers in the IT industry. My friend described themselves as a “fire fighter” and by that they meant they were spending most of their time putting out “fires” between staff or responding to difficult staff members. Indeed, this is a common refrain from people who manage staff and we often hear the phrase, “this job would be easy if I didn’t have to deal with staff”. We have all had to deal with colleagues who are consistently late, unreliable, argumentative, micro-managing bosses, time wasting gossipers, know-it-alls, etc., etc. The list of counterproductive and annoying behaviours is endless. The question is, what can be done about it? Fortunately, there is a lot you can do about, unfortunately, it is difficult to resolve the problem with one blog post. The solution requires more than a blog post that posits “5 easy steps…blah blah”. If it was that easy it wouldn’t be a pervasive workplace issue. Dealing with difficult staff is a process; it is having the correct systems and procedures in place right from the beginning of the employment cycle. This means effective recruitment, proper induction or onboarding, and ongoing training and staff development. Humans are socials beings with a variety of agendas, motivations and goals. When these are combined with the complexity of the workplace and modern day living, creating a workplace that fosters harmony and productivity is an ongoing challenge. It is certainly more than reading a few tips and then quickly forgetting them. The correct system and process means having an effective recruitment process, one that informs any potential new staff member of the organisation’s code of conduct, values and acceptable behaviours, as well as an honest understanding of the demands of the role. An effective recruitment process requires you to gather the best available data about candidates that will predict future performance, such as aptitude testing, personality or behavioural profiling, observation of incidental behaviours, CV and referee checks, and interviews. Once you have identified a good candidate through your recruitment process, the next step in turning them into great employees starts with a proper induction or onboarding process. This is fundamental in setting the tone of the workplace and moving the good candidate from being a stranger to a group member. Finally, all staff need ongoing development through a combination of formal and informal practices. This is achieved through ongoing learning and development opportunities and regular reviews by their direct line manager. Part of this professional development is allowing staff to have a sense of autonomy and them having a say in how they do their job. Staff need to relate to each other as friends, colleagues and co-workers, supporting each other and helping to get the job done. If these systems and procedures are in place, then dealing with difficult staff is much easier and has a much less emotional toll on everyone. The research about which variables have the strongest predictive value for success in the workplace is unequivocal; general intelligence, or general mental ability, ranks as the single most important predictor. This, in descending order of importance, is followed by a properly conducted structured interview, work sample tests, and conscientiousness and other aspects of personality. Predictive validity is increased by combining these variables. The importance of general intelligence in job performance is related to complexity. Occupations differ considerably in the complexity of their demands, and as that complexity rises, higher general intelligence levels become a bigger asset and lower levels a bigger handicap. The economic outcome from recruitment and staff selection can be significant, with even marginal differences in rates of return yielding big gains – or losses – over time. Hence, even small differences in general intelligence among people can exert large, cumulative influences across social and economic life. Conversely, the cost of a bad hire is estimated to be up to a year’s salary depending on the role. That’s how much it adds up to by the time you recruit them, on-board and orient them, train them and have them in a position where they can perform effectively. If you decide to incorporate any psychometric testing into your recruitment process I would recommend you start with a good test of general intelligence. Fermion recommends the Reynolds Adaptable Intelligence Test (RAIT) or the brief version for screening purposes, the Test of General Reasoning Ability (TOGRA). Much of psychometric testing in Australia is almost franchised. Consultants working in the area typically offer a product for which they have been accredited and then only use that product. This is referring to a consultant who is a “Myers-Brigg” or a “SHL” or a “Disc” person, or whatever – the list of this approach to psychometric testing in Australia is long. As an example, I received an email from a multi-national test supplier recently (27.4.18) offering a two-day (plus 4 to 5 hours of prior e-learning) Accreditation Courses for $2350 (excl. GST). After that you are then accredited to use their products, which you have to pay for of course. Aside from the self-evident lack of expertise in psychometric testing this approach offers, it would be interesting to know how many people fail the course. It’s in the interest of the testing company to give their accreditation to as many people as possible because they become their customers. This isn’t a rigorous approach to the science of psychometric testing. It begs the question just how much about the administration and interpretation of psychometric testing do such consultants possess. 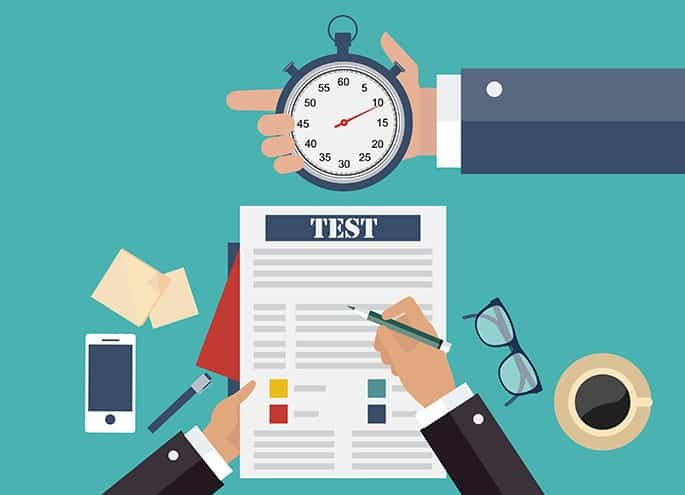 They may know one range of products well and repeat the lines from a manual, but do they truly understand the strengths and weaknesses of psychometric testing and how to really understand and interpret the results. From my experience there is a propensity to over-interpret the results and view what is written under a particular title or sub-heading in black and white terms. Even a registered psychologist with a minimum of six years training has to do the same two-day course as someone who has never studied any psychology and at the end of the two days, and $2350, they both have the same accreditation. Fortunately, if you are a registered psychologist there are other test suppliers who will only supply tests to people with the appropriate training and skill level. This approach gives psychologists access to a much wider range of products and tests without being tied to any particular provider. Thus, do some due diligence when choosing a consultant to provide you with psychometric testing. How quickly do you form an impression of someone’s personality simply by looking at their face? Research by one of the world’s leading researchers on first impressions, Alexander Todorov, Professor of Psychology at Princeton University, and has found that it takes less than one second to form a first impression. These judgements are unavoidable because we are hard-wired to classify people quickly and to have confidence in those judgements. Whilst these self-assured first impression are part of being human, they can often be inaccurate. In one study people were shown a face for 100 milliseconds, 500 milliseconds to a full second, and then asked to make various judgements. Complex judgements such as trustworthiness, aggressiveness and attractiveness were all made in this narrow time-frame and longer exposure only served to increase confidence in those judgements. Faces that look happy are perceived as more trustworthy and faces that look disgruntled and somewhat angry are perceived as untrustworthy. We tend to trust and like feminine faces more than masculine faces, but feminine faces are perceived as less dominant. Attractive people are judged as more competent than less attractive people and tall people are judged as more intelligent than shorter people. All these biases have been replicated in studies many times and whilst they are consistent findings, it does not mean the actual judgements of people are accurate. Of course, being tall or attractive does makes you more intelligent or competent, but these are power biases and judgements that affect all of us. We often think we are impervious to these biases and they only apply to other people. You often hear people say, “I’m a good judge of people”. But, we are all good at making judgements, the issue is whether they are accurate. Recruitment decisions can be improved by being aware of our tendency to make quick confident first impressions during the interview and introducing other steps, such as psychometric testing, into your recruitment methodology. Be aware that there are many circumstances under which you will form an impression and that might be misleading, especially if it’s consequential, like the hiring of a potential employee. The use of psychometric testing, particularly personality profiling, for recruitment and selection has grown significantly over the past 20 years. In line with that growth there has also been a proportional growth in the number of psychometric tools and tests available. “We enhance the performance of individuals and organizations by providing high-quality, research-based assessment solutions delivered by a dedicated team of professionals using state-of-the-art technology. We aspire to be the industry-leading provider of assessments for selecting and developing people and shaping organizations”. With so many tests available, and providers making the usual marketing claims, how can a consumer of psychometric testing decide upon the best or most appropriate personality profile? The best approach is to ask what are the findings from scientific research. There are many good reasons to adopt a scientific approach to decisions about recruitment and psychometric testing, however, the most salient reason is the same reason why science has proved to be such a successful human endeavour. At the core of science is the notion that scientists are always trying to be disprove existing theories. The longer the theory cannot be disproven the more robust the theory and the more widely accepted that theory becomes. So what does science say about personality. The scientific research into personality over the past three decades has overwhelmingly supported a model of normal personality referred to as the “Five-Factor Model of Personality” or sometimes called the “Big Five”. And, the only personality questionnaire and profile that measures the Five-Factor Model is the “NEO-PI-3”. “The NEO-PI-3 is rapidly becoming one of the most popular measures of normal personality in the research literature. The psychometric properties, including predictive validity, of this inventory are uniformly favourable as evidenced by empirical reviews”. “Throughout history there have been a number of collaborations which have been so rich that the result of these joint efforts have changed our thinking in fundamental and pivotal ways. For example, Lewis and Clark changed the way Americans thought about their geography, Watson and Crick profoundly clarified the way scientist thought about the structure of DNA, and Costa and McCrae have fundamentally changed and modified our way of thinking about the dimensions and assessment of personality traits”. Therefore, the personality profile supported by independent scientific research is the Five-Factor Model of Personality as measured by the NEO-PI-3 and is the profile that should be used when it is necessary to gain an understanding of someone’s personality and behaviour. Fermion specialises in using the NEO-PI-3. Contact us for more information. Do you know the qualifications and expertise of the consultants you engage to conduct your psychometric testing? If you are paying for a consultant to provide psychometric testing services it would be more than reasonable to assume that the person or business offering the service is suitably qualified, experienced and accountable. In human resources there is a wide range of experience and qualifications amongst the consultants in the field. As an example, to administer and interpret the Myers-Briggs range of profiles all one needs to do is pay and do a four day accreditation course. No other experience or qualifications needed. This process applies to many psychometric products, including many of the more reputable test suppliers. Once someone is accredited to use a particular product they typically become adherents to that product and thus do not see the limitations of that product nor the strengths of other products. The highest human resources related professional qualification in Australia is to be a Registered Psychologist. Not only does this give you the correct training in the use of all psychometric instruments, but it also allows access to a wider range of tools and tests. Furthermore, Psychologists have to undertake ongoing professional development and work under government legislation and are accountable to the Psychology Board of Australia. This level of training and accountability is unmatched with other human resources practitioners, especially ones who only have accreditation to one particular product. Thus, conduct due diligence on the consultants you engage to administer and interpret your psychometric tests. The industrial revolution around 250 years ago saw a significant change to our living conditions but the hard wired behaviours and biases remain. We went from a mainly agrarian society to an urban / city factory based environment. This is not a long time in the context of human evolution. As such we still have many genetic or hard wired behaviours and biases that whilst useful on the savannah are not necessarily adaptive for the modern workplace. As an aside, sometime between 195000 and 125000 years ago, humans may have nearly gone extinct. A glacial period had set in that probably left much of the earth icy and barren for 70000 years. The population of our hominin ancestors plummeted to possibly only a few hundred in number, and most experts agree that everyone alive today is descended from this group. Exactly how they, or early humans for that matter, managed to stay alive during recurring glacial periods is less clear. But as terrestrial resources dried up, foraging for marine life in reliable shellfish beds surrounding Africa most likely became essential for survival. Back to point of this post. The time it has taken us to move from hunter-gatherers to modern office workers is incredibly short in the context of human evolution. Genetic or hard-wired behaviours that were necessary in the pre-industrial world are not always useful or adaptive for modern world; but we still have them and these behaviours are ever-present. Understanding this idea and having knowledge of what these behaviours are can help you better understand and manage the modern workplace. For example, humans are a face reading social, hierarchical species that are sensitive about social status. Psychometric Testing and Personality Profiles. Personality profiles are widely used for recruitment and staff selection decisions. What is the best one to use and what is the science say about them? The goal of a recruiter—whether a human resources professional or a line manager—is to find the person who best fits the requirements and culture of a given role or job. Typically, a re­cruiter crafts an advertisement for the position, posts it to the company website and some job boards, collects applications (résumés, cover letters and references), then selects suitable can­didates for interview. This process is rather flawed, as it ignores some of the core findings of industrial and organisational psychology on how to best screen candidates. Take IQ, for example. IQ has been shown to be the most consistent predictor of performance across a va­riety of jobs because it indicates a candidate’s ability to learn and thus reflects how quickly a person can be trained. Another powerful predictor of career success; the person­ality test, has gained a somewhat stronger foothold in employ­ee selection. Hundreds of independent research studies have demonstrated that these tests are better indicators of future ca­reer success than letters of recommendation, interviews and educational credentials. Fermion specialises in the use of the five-factor model of personality for recruitment. Contact us for more information. What is your leadership style? How do you regard your staff? Treat employees as a resource and not a cost was the conclusion drawn by Marvin Bower and Peter Drucker after working as management consultants for 60 years. Marvin Bower is considered by many as the founder of modern management and leadership consulting and helped established McKinsey & Company. He passed away in 2003 but in 1994, at the age of 91, he gave a radio interview on BBC World Service. During that interview he was asked if business had changed in the last 60 years, to which he said, “unfortunately no…the basic way of running a business is essentially the same…an all-powerful Chief Executive at the top and a hierarchy below to work out the command and control of people…there has been 1000s of changes of methods but not enough changes in the basic way of running the business…but with today’s conditions of competition, global economy and rapid technology it is no longer as effective as it should be…it works well but not well enough…we need to get everybody working together, focus on the business as a whole and make the whole thing work more cohesively instead of hierarchically”. Peter Drucker, a friend and colleague of Marvin Bower, and also consider another founder of modern management, gave an interview in 1998. He passed away in 2005, aged 95, but in 1998 he said the following: “After almost 60 years of consulting my basic emphasis that human beings are a resource and not a cost has practically had no impact in this country (USA) or Europe…everybody says people are our greatest asset and then fires them because they are a cost…that has had a very limited impact from 60 years of preaching it…they have embraced the idea but have not done anything about it…on the contrary there is a glorification of the autocratic Chief Executive”. Whether you agree with these sentiments or not, they are provocative and may prompt you to reflect on your own leadership style and attitude towards your staff. I believe hierarchies are inevitable, indeed, humans need them, however, that does not mean staff should not be treated as assets and with respect. Emotional Intelligence for Recruitment: To Measure or Not to Measure? Emotional Intelligence (EQ) is a relatively new psychological construct and has gained a lot of attention and some firm supporters and adherents. A Google search on the topic will yield 11 million hits. The idea that we can measure a person’s ability to perceive, evaluate and modify their emotional understanding of themselves and others is appealing, however, the use of Emotional Intelligence for recruitment purposes is not recommended. The predictive ability of EQ for job selection has not been demonstrated and the use of EQ profiles is more appropriate for personal and professional development. Researcher, Dr. Carolyn MacCann, from Sydney University, gave an excellent talk on the ABC’s Big Ideas program. The program explored Emotional Intelligence and asked: Is it more important than general intelligence, or, IQ? ; How do you define it? ; What’s it good for? ; Does it have any evidentiary base or is it just a fad that got a whole lot of traction in the late 1990’s? That program was essentially a lecture for psychology students and Dr Carolyn MacCann is well placed to dispel some of the myths around the extravagant claims for EQ. As to the questions: Is EQ better than IQ at predicting job performance, or, is EQ more important than IQ for job performance? The answer for both questions is, no. For jobs in the middle range of cognitive complexity, IQ accounts for around 25% of job performance whereas EQ accounted for about 7%. This is not to say the Emotional Intelligence is not important, however, it should not be measured as part of your recruitment process. How is this achieved? By businesses and organisations having a growth mindset and providing their staff with ongoing learning and development opportunities. A training and professional development program that is contemporary, evidence-based and realistic. All too often learning and development programs make extraordinary claims about achieving almost any goal imaginable. The reality is that change, self-improvement and personal development are worthy goals but achieving these things is really quite difficult. Change is difficult. However, skills can be taught and incremental change can happen if the correct approach is adopted. This is not as glamourous as an Anthony Robbins seminar or part of the Self-Help Actualisation Movement (SHAM) but it is grounded in science and does not have give you a misleading short burst of euphoria that you can conquer the world. As leaders, managers and workers, we can all do better but it must be realistic, achievable and sustainable. A good learning and development program must in the first instance be honest, authentic and ethical and not one that promises the impossible. Psychometric Testing: Interpretation Is Everything. Psychometric tests must be administered correctly, which includes standardised conditions and supervision. Avoid unsupervised testing, especially aptitude testing, if possible. It is fundamental to the testing process that we know who did the test and under what conditions. There is an ongoing debate about whether people cheat when doing unsupervised online aptitude testing or ‘”faking good” on personality questionnaires. An internet search on the topic, like many issues, will yield a range of responses for and against the question. It seems reasonable to assume that some people will cheat for high value roles and jobs. Even testing company’s own research found that one in ten people cheated on unsupervised online aptitude tests. However, aside from the cheating issue, there are other reasons why you should avoid unsupervised testing. You could miss a good candidate through someone performing poorly on the tests due to reason outside of their control, such as being disturbed, doing it late at night when they are tired or technical difficulties. But, the most important reason to avoid unsupervised testing is that recruitment decisions require a social or face-to-face element. Recruitment decisions are people decisions. Observing candidates under different conditions and by other people provides invaluable incidental information and it ensures the reliability of the testing results. Once we are confident the tests were administered correctly it is time to interpret the results properly, indeed, it is the interpretation of the results in the context of other available information where psychometric testing comes into its own. There are many testing companies where a consultant will interpret the results over the phone and will not necessarily take into account other information from the recruitment process; the culture of the workplace, dynamics of existing staff and the vision and direction of the organisation. The best interpretation process incorporates all this information in a free flowing discussion. Large testing companies will not do this, however, Fermion does and this process will give you a significant competitive advantage as you will avoid mishires and have a much clearer understanding of your next employee. There are 70 000 books in the British Museum with the word “Leadership” in the title. There are a large number of books, articles, blogs, podcasts, jargon, ideas and the “next big thing” released onto the market relating to leadership, management and workplace behaviours. Often there are promises of remarkable change, amazing improvements and dramatic increases in performance. How are we meant to make sense of all this information? How can we decide what is genuinely new and evidence based as opposed to a hyperbolic claim that is well marketed? I recall seeing a promotional flyer recently about the MSCEIT and Emotional Intelligence. The MSCEIT is a psychometric tool that measures Emotional Intelligence. The flyer implied the MSCEIT was new and the application of it in the workplace would yield amazing results. There was a catch of course, and that was you needed to do an accreditation course before you could use it. The reality is that the MSCEIT has been around for many years and the research into the construct of emotional intelligence and its role in the workplace is equivocal, i.e., the jury is out. Thus, back to the original question – how do we make sense of the constant stream of information about workplace performance? One solution is to have a paradigm or framework from which to evaluate information, such as evidence based science. Part of that approach is to ensure the information is sourced from credible people and institutions. It is also necessary to be widely read and to remain up to date. This can be difficult in this busy era of trying to achieve some sort of balance between work, family and having a meaningful social life. The other solution is to engage the services of a People and Culture Consultant who is widely read and up to date with the current evidence based research. Fermion prides itself on being such a consultancy, one that specialises in leadership and management development. Small business recruitment can be a challenge given the need for them to be experts in many areas. Many SMEs do not have access to a department or team dedicated to recruitment and often make detrimental recruitment decisions that can have a dramatic impact on the success of the business. An example of this is the founder of Redballoon, Naomi Simson, who was reported in the Sydney Morning Herald discussing her staffing problems. Naomi said: “I had some absolute catastrophes when it came to people…the staff member often started work late, and chose not to deal with certain customers”. In the same article, Gen George of Oneshift, shared a similar experience and reported the following: “Not knowing what we actually needed from a skillset point of view…not realising you’ve got to get the culture right…having a bunch of stray cats running in all sorts of different directions isn’t a good way to run things”. How to provide ongoing staff training and development. All of these areas can be covered in a unique recruitment strategy for your business or organisation. Please contact Chris at Fermion for further information. All business need an ongoing staff development training program. There is a lot of information in the research literature on how to improve productivity, with many ideas and findings not needing to be costly. The following story demonstrates how external, and internal, distractions can affect work performance. Imagine sitting in an office located near a railway line. Trains rattle by several times an hour. As you try to concentrate the rumble of every train pulls you away from what you are doing. You need time to refocus, to collect your thoughts. Worse, just when you have settled back in, another train rattles by. This description mirrors the conditions of a school located next to a busy railway line and two researchers decided to measure the impact of the noise on the students. They noted that only one side of the school faced the tracks, so the students in classrooms on that side were particularly exposed to the noise but were otherwise similar to their fellow students. They found a striking difference between the two sides of the school. Students on the train side were a full year behind their counterparts on the quieter side. Prompted by this study noise insulation was installed and that intervention erased the difference and over time students on both sides of the building performed at the same level. Now picture yourself working in a pleasant, quiet office; minimal disruptions and no trains. Instead you are struggling with your mortgage and ruminating on your financial situation. You sit down to focus on your work. Soon your mind is wandering. Should we sell the second car? Should we take out another loan? These noisy trains of thought are every bit as hard to ignore. Although the room seems quiet, it is full of disruptions – one that comes from within. Studies have shown that these internal distractions can diminish IQ by up to 10 points. Internal and external distractions can adversely impact people’s performance at work. This shows the importance of giving yourself, and your staff, ongoing professional development and training and keeping up to date with the most recent findings in science. Is intelligence testing necessary in the recruitment process? Capricia Marshall was Barack Obama’s Chief of Protocol and the public face of the White House. When Capricia was asked what her key management advice would be, her response, as reported in Monocle, October 2012, was, “Hire extraordinary, dedicated people…smart individuals with a work ethic that matches your own“. Thus, if you want to dramatically improve the intellectual capital of your workforce and from that gain a significant edge over your competitors, then start measuring intelligence as part of your recruitment process. 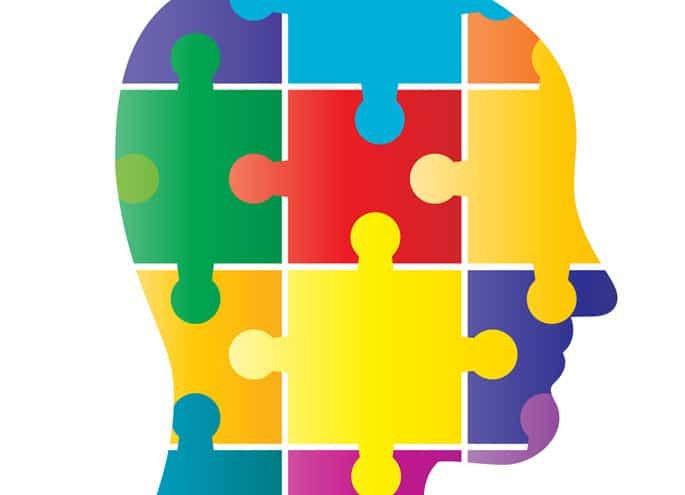 Whilst this seems self-evident, measuring these traits and behaviours objectively can be difficult, however, the use of properly administered and intrepreted psychometric tests can successfully measure and describe these traits and behaviours. Fermion has the experience and expertise to do this for you. It is important that the testing be administered correctly, which means, supervised testing and not online at home. Contact Fermion for more information.